The blurb: After the tragic sinking of a cargo ship, one solitary lifeboat remains bobbling on the wild, blue Pacific. The only survivors from the wreck are a sixteen-year-old boy named Pi, a hyena, a zebra (with a broken leg), a female orangutan… and a 450-pound Royal Bengal tiger. The scene is set for one of the most extraordinary works of fiction in recent years. My review: My other half has been badgering me to read this book for years as I’m the barometer for whether he will read a book – like the official food taster for the King! 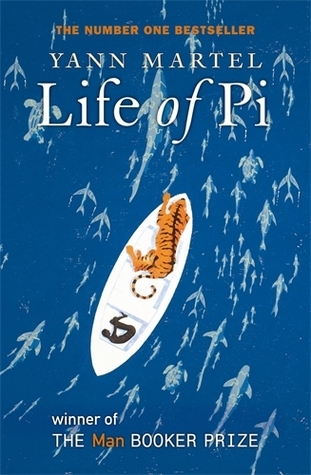 The Life of Pi is a strange and beautiful book. Quirky and humorous, it is sometimes difficult to decide how seriously to take it. At one point I found myself on wikipedia checking up on the authenticity of the book! Pi is an utterly charming character with an insatiable appetite for wonder. He also has an interesting take on world religions which definitely struck a chord. This book is trying to teach its readers understanding, patience, the beauty in the smallest thing and so many other virtues. Richard Parker was possibly my favourite character in the novel. Yann Martel managed to imbibe in him so many human characteristics. I’m only not giving this a ten as I did feel slightly preached to when reading it and there really is a very, very long stretch of the book that is lost at sea. An awful lot, so much that I found my eyes straying to my ‘to be read’ pile with desire. Still definitely worth a read!